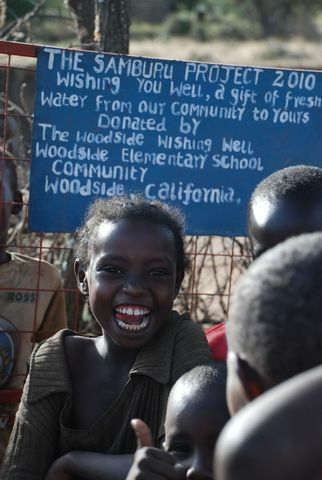 Funded by The Woodside Wishing Well, The Samburu Project drilled and installed a shallow well equipped with a handpump in this community. Women and children formerly would need to walk 4 km+ depending on the river level or 7 km up the mountain. Now the well is within the village and they walk less than 1 km. For women, the previous walking distance caused back issues. However now women have time to tend to children and do business. Visited Treetop community with Bob and his family. Interviewed several community members and wrote letters. Was able to interview elders, children, women and other stakeholders. Friday morning, Lucas and I headed to Treetop Well. While we were still five minutes away from the well, Mary, the chairwoman of the well committee and women’s group, was waiting for us under a tree, having been alerted by Paul (the person in charge of our well maintenance) that we would be visiting. Lucas and Mary quickly began to update one another and I could tell by the tones in their voices that they not only liked but also respected one another greatly. Mary immediately took us to see one way in which the water has been used to generate income in this community- brick making! She led us under a tree where there must have been 500-600 bricks there and in the nearby vicinity. Normally what happens is that the women’s group is contracted by an individual, school, or government agency to build the bricks for the foundation of a new building. Since it costs a good amount of initial capital to buy the cement (1000 KES or $12.5 for a bag of cement that yields 25 bricks) and it is too costly for the community to afford it, they will provide the dirt, water and labor for the job and in return the person who contracted them will supply the cement. Mary said that they make around 50,000 KES or $625 every six months. The number of contracts has been increasing in the past couple of years as the number of government offices have proliferated. While this bodes well for the Treetop community, Mary revealed that they could be making 30 more shillings per brick (50 shillings versus 20 shillings) if they could buy and supply the cement themselves. They are also currently hiring/renting the machines used to make the bricks at 300 shillings per day. The reason why they have not been able to save enough money to buy a sufficient supply of cement to serve as the initial capital they need for full ownership of this business is because they have been allocating a huge portion of the profits to pay for a young boy’s secondary education. This particular boy comes from a very poor family in this community but he was very bright and the best in his class. 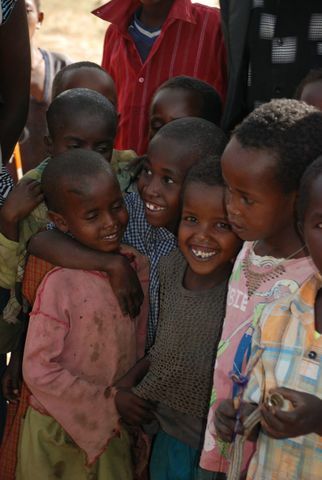 In Kenya, primary education is paid for by the government and is free. However, students must pay school fees when they enter secondary and higher levels of education. Recognizing the potential this student had, Mary and the rest of the women’s group decided to sponsor him and pay for his secondary school fees and support him for all four years; there are three terms per school year and at 20,000 shillings per term, the total comes out to be 240,000 shillings or $4,000. In terms of education for the rest of the community, Mary says that there are now 150 small children in nursery and many more in primary school. Though she doesn’t know the exact numbers, she confidently says that there are many more girls than boys enrolled in school. When asked how this well has changed their daily lives, Mary told us that before this well, women would have to travel far; she pointed to a distant mountain and said that they would carry a 20 liter jerrycan back which was filled with water that had been contaminated by wild animals or people bathing in the water. When they finally returned to their homes after six hours, the children would be starving and wanting dinner but the women would have to boil the water before being able to cook with it because it was so dirty. According to Mary, it takes just five minutes for people to reach the well. She says that in the morning, the mothers will start making tea and during that time, kids will go to the well to get water to wash themselves. By the time they are finished and go back home, the tea has just finished brewing which they drink before heading off to school. This community has also tried farming and growing their own produce with the hope of increasing food diversity and making kids stronger. However there are many elephants in this area and they continue to destroy and trample the vegetables. Before this community can try farming again they will need to buy a durable fence to keep the elephants from destroying the garden again. They are hoping to save some of the profits from their brick making business to pay for the fence which will be quite costly. As for the well itself, there has only been one problem with the rubbers last April which was quickly fixed. 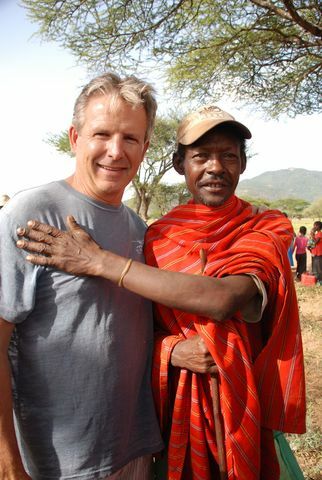 Since then, the well has been working fine, meeting all the needs of the community. They have a Well Management Committee as well as Community Resource Persons (CORPS). If there is trouble with the well the committee will convene on how to fix it. So far there are no problems with maintenance. Currently their main issue has been rubbers wearing out, but they know how to fix it themselves. CORPS are community members selected to take care of the maintenance and upkeep of the wells. The community agrees by contract to pay for maintenance costs. Each well committee collects approximately $250 per year for this purpose. 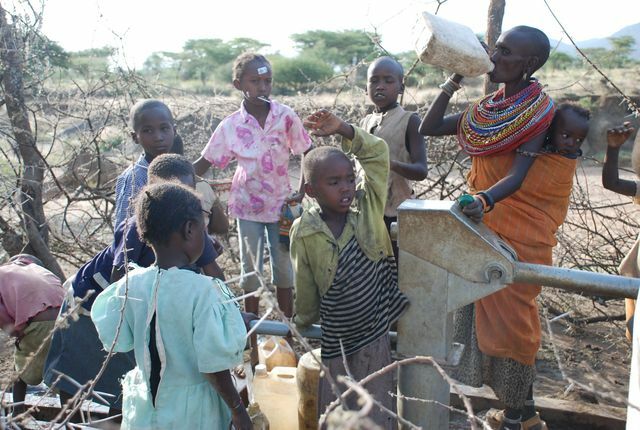 In order to ensure well functionality and monitor its use, The Samburu Project spends approximately $160 per year per well. This comes from our general fund, which is maintained by individual donations. The chain link fence was stolen by non-community members. Wood and thorned branches were used to create a new fence around the well. This type of fence may be more logical for wells that are closer to towns which are therefore more susceptible to being stolen. Community interested in using the water for agricultural projects. 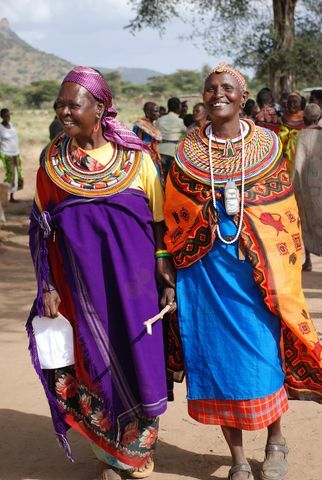 Women were previously forced to walk long distances to try to find water, which caused back issues for some of them. With the well, these chronic injuries are now alleviated. In addition, women have more time to tend to children and do business.